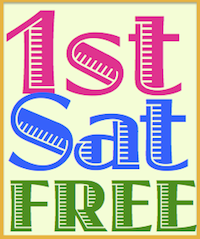 California Genealogical Society and Library blog: Pick Up the New CGS Bookmark at California Family History Expo! 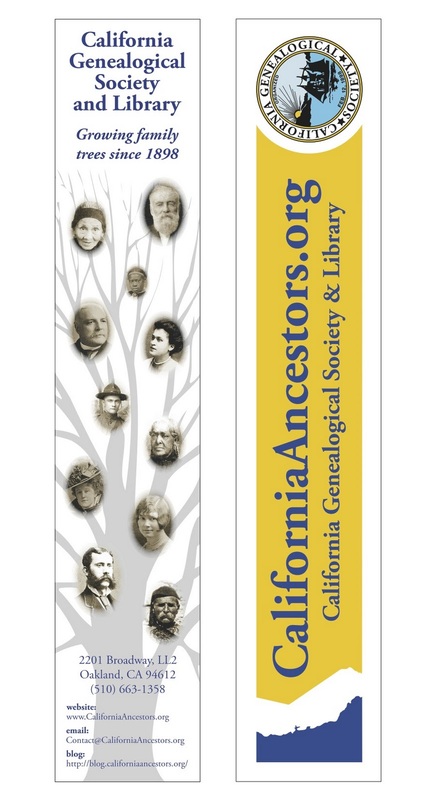 Pick Up the New CGS Bookmark at California Family History Expo! Ever since we unveiled our new look in February, members of the society have been working hard to incorporate the new "brand" into our various web homes, publications and other written matter. The wonderfully talented Lois Elling has created a new bookmark for the society and we are giving them away today and tomorrow at the California Family History Expo. Next week I'll be sure to blog the stories of the faces on the family tree.